THE IMMACULATE COLLECTION. 17 SONG GREATEST HITS COLLECTION. Into The Groove. Justify My Love - ft Lenny Kravitz. Like A Prayer. La Isla Bonita. Open Your Heart. Papa Don't Preach. Artist Madonna Title Madonna Release Date 2000-07-31 Label: EMI Records Number of Discs 1. 1 8 Everybody. 1 7 Physical Attraction. 1 4 I Know It. 1 3 Burning Up. CD is in MINT condition, case and inserts are in excellent condition. Having a clear out of all of my CD collection, everything must go. Madonna - Like a Prayer (1994) Express Yourself & Dear Jessie CD Album. Condition is Very Good. Dispatched with Royal Mail 1st Class Large Letter. Of Discs: 1 disc(s) Studio / Label: Warner Bros Records UK Release Date: 31 Aug 2009. Disc 1 13 Vagabond. Disc 1 11 Hero. Disc 1 12 Bookends. Disc 1 14 She's Got You High. Disc 1 10 Mushaboom. Disc 1 6 There Goes the Fear. 2006 CD/DVD 5.1 SURROUND SOUND remaster by Jerry Harrison of the band & E.T.Thorngren of Brian Eno produced 1980 classic feat. THE GREAT CURVE. LISTENING WIND. RIGHT START. HOUSES IN MOTION. Original Album in 5.1 Dolby Surround Sound. Swordfish: <. > CD (2001). Condition is Very Good. All cds are in near mint/ mint condition unless otherwise stated. RAMONES MANIA: GREATEST HITS. 100% ORIGINAL PRODUCT. Rock 'N' Roll High School. Indian Giver. The KKK Took My Baby Away. Chinese Rock. We Want The Airwaves. Howling At The Moon (Sha-La-La). Barcode 07599 2543729 - CD Album - 1986 Sire Records - Good condition throughout, the Artwork insert is in perfect order, NO SCRATCHES ON DISC. Madonna - The First Album (CD). Condition is Very Good. Dispatched with Royal Mail 2nd Class Large Letter. CD CONDITION : NEAR MINT. REGINA SPEKTOR - FAR, CD ALBUM, (2009). Swordfish: <. > CD (2001)Title: Swordfish: <. Disc 1 1 Swordfish 2.44 mins. of Discs: 1 disc(s) Studio / Label: FFRR UK Release Date: 16 Jul 2001. Disc 1 2 The Word 4.32 mins. Disc 1 15 Get Out Of My Life Now 4.06 mins. 17 Dope Fiends And Boozehounds 6:33. 15 Beerbash 3:50. 14 Soul Glue 3:44. 13 Sickening Song 2:54. 12 Guns 1:49. 11 Palomar 4:20. 10 Shaved Head 5:06. MADONNA - LIKE A PRAYER, CD ALBUM. 5 out of 5 stars - MADONNA - LIKE A PRAYER, CD ALBUM. 24 product ratings24 product ratings - MADONNA - LIKE A PRAYER, CD ALBUM. 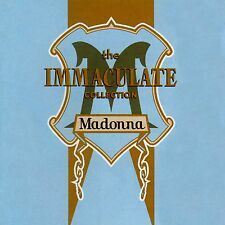 MADONNA - THE IMMACULATE COLLECTION. GENUINE & ORIGINAL CD. Like a Virgin. Into the Groove. Justify My Love. Like a Prayer. THE SMITHS. That Joke Isn't Funny Anymore. 100% ORIGINAL PRODUCT. The Headmaster Ritual. I Want The One I Can't Have. Ramones - Too Tough to Die (2002). Condition is Very Good. Dispatched with Royal Mail 2nd Class Large Letter. 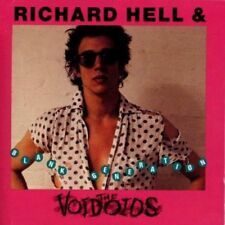 Of Discs: 1 disc(s) Studio / Label: Rhino UK Release Date: 26 Mar 2012. Disc 1 1 The Headmaster Ritual. Disc 1 5 That Joke Isn't Funny Anymore. Disc 1 3 I Want the One I Can't Have. Disc 1 7 Well I Wonder. ARTIST: Regina Spektor. TITLE: Far. Both the CD and sleeve are in excellent condition with only light wear. Small slpit on sleeve where booklet is held. DVD-4 Man Of A Thousand Faces 4:30. DVD-3 Eet 3:53. The Immaculate Collection. 17 Greatest Hits. A Few Light Surface Scratches On The CD But They Don't Affect Playback, Artwork Sleeve Notes And CD Case in Good Condition. TALKING HEADS. Listening Wind. REMAIN IN LIGHT. Houses In Motion. The Overload. MADONNA ‎– Like A Virgin Remastered. Format:CD, Album, Reissue, Remastered. Genre:Electronic, Pop. 3 Like A Virgin 3:39. 10 Like A Virgin (Extended Dance Remix) 6:11. Nice clean condition CD - in stunning condition. You Can Dance. DISC LIKE NEW. Actual item for sale shown in the photographs. • Used CD - in very good shape, no worrying marks, always double checked before dispatch. As such, the digital transfer is without ugly EQ tampering with the sound. For example since the early 2000's most modern CDs have been EQ'd as loud as possible boosting lots of treble and bass, usually ignoring all the characteristics of the classic originals! ORIGINAL CD IN EXCELLENT CONDITION. 1980 / 632A / 522DB. IN GOOD/VERY GOOD USED CONDITION - DISC HAS BEEN TESTED AND PLAYS OK. 12 New Order - Brutal 4:49. AVAILABLE WORLDWIDE - £5.50. 13 UNKLE - Lonely Soul 8:55. 4 Dario G Featuring Vanessa Quiñones - Voices 5:19. PRETENDERS - CD ALBUM. CD CONDITION: EX (BOTH). (IF YOU LIKE THE SENSATIONAL 80's MUSIC OF POP PRINCESS MADONNA THEN THIS IS THE COMPILATION FOR YOU. 9 ) Papa Don't Preach. A RARE CD AT A GIVEAWAY PRICE - WHEN IT'S GONE IT'S GONE ! FROM MY OWN PERSONNEL COLLECTION - VERY WELL LOOKED AFTER FROM NEW. As such, the digital transfer is without ugly EQ tampering with the sound. For example since the early 2000's most modern CDs have been EQ'd as loud as possible boosting lots of treble and bass, usually ignoring all the characteristics of the classic originals!